Plaisance Photography is a Northeast Houston virtual tour company owned locally by Kristen Plaisance. With over 15 years of marketing experience as well as a lifetime of photographic expertise Kristen has the knowledge necessary to help you promote your business successfully. RTV understands that building virtual tours, achieving maximum exposure, and online digital marketing does take real time and is not for everyone. That’s why we have built up the largest virtual tour provider network in the world and have a representative for you in the Houston area to help you out. We guarantee full coverage in your area and you can find detailed information about your virtual tour provider below. If you prefer to shoot your own virtual tours in Northeast Houston your virtual tour provider below can tell you about that option as well. Plaisance Photography is a Northeast Houston virtual tour company owned locally by Kristen Plaisance. With over 15 years of marketing experience as well as a lifetime of photographic expertise Kristen has the knowledge necessary to help you promote your business successfully. Kristen has worked for large companies such as Choice Hotels International, Best Western and KB Homes as well as local real estate agents and small family owned businesses. When the Horseshoe Casino and Hotel in Bossier City, LA renovated their exclusive Spa, she was chosen to photograph and provide a virtual tour of the renovated areas. Quality and professionalism can be seen throughout all of her work. Located in the Kingwood, Atascocita, Humble area Plaisance Photography is part of an exclusive network of Virtual Tour Providers world-wide working with Real Tour Vision, the # 1 ranking virtual tour company in the World. Plaisance Photography provides Houston area virtual tours, high quality photographs, as well as the print and online marketing services that are necessary to promote your products or services successfully. 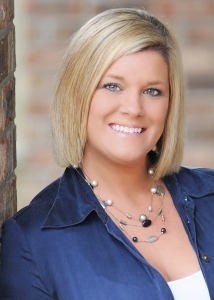 Give Kristen a call today and let her help you promote your company through professional marketing services. Click here to contact your Houston Virtual Tour Provider!